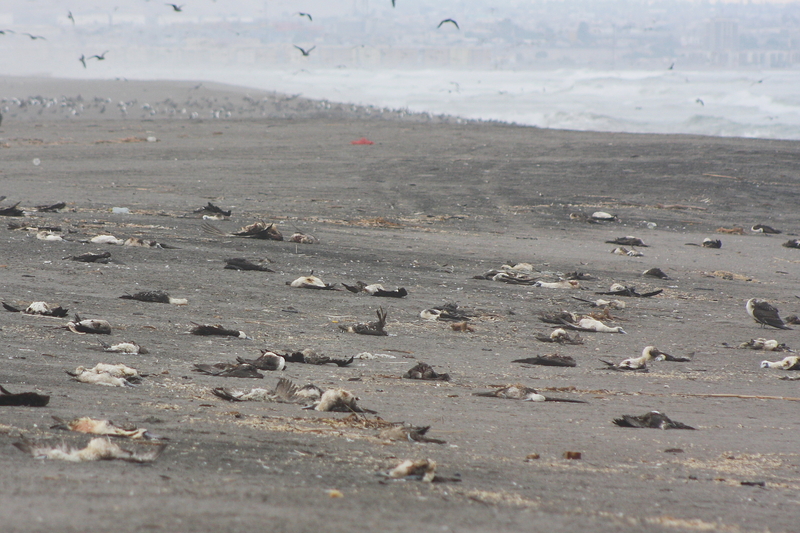 Since October, numerous seabirds have been found dead throughout the Pacific Coast. The cause of their deaths is currently unknown, but with the number of deaths in the hundreds, scientists are concerned. According to the Huffington Post, the birds’ deaths are a result of mass starvation. One theory presented is that an overwhelming amount of the species of bird had bred to the point where their regular food sources are scarce. The LA Times stated the birds breed in BC, thus making their deaths a possible issue for local environmental scientists. The number of birds dying has grown significantly as of December, yet professor of marine sciences at the University of Washington Julia Parrish told the LA Times that despite the hundreds dead, the death rate for the birds is not out of the ordinary. Climate change has also been listed as possibly contributing to the deaths of the birds, as many of them were likely already weak from lack of food. The increasing heat, according to Inquisitr.com, may have caused the birds’ food source of zooplankton to not produce as much. While there are some ideas as to what has caused so many seabirds to die at this point, no official statement has been provided on the cause.